Our client, Master V, developed quadriplegic cerebral palsy with severe disabilities as a result of the mis-management of his birth. This included the failure to properly monitor his heart beat and to expedite the delivery, as well as a seven minute delay in a paediatrician arriving following his birth, leading to hypoxic ischaemia. V’s mother had had an uneventful pregnancy and was admitted to hospital after her waters had broken. By the time she was admitted, shortly after midnight, her contractions had started and the cervix was 6cm dilated. The first and second stages of labour progressed over the next day and V’s head crowned and his head was delivered a minute later, at which point the cord was found to be loose around his neck. He was delivered a minute later but was found to be shocked and pale. V made no attempts to breathe. Paediatric assistance arrived seven minutes after he had been born and V was subsequently intubated and ventilated. He was breathing on his own by ten minutes, but shortly after he became floppy and jittery and was prescribed medication for epileptic fits. A CT scan taken when V was 8 hours old showed that he had suffered hypoxic ischaemic encephalopathy (brain damage caused by a lack of oxygen). Graham Bell was instructed to investigate the management of V’s birth and instructed a variety of medical experts. It was argued that, with proper care, V should have been delivered eight minutes earlier. The defendant had failed to properly records V’s heart rate on a CTG (electronic foetal monitor) trace and it was argued that, had the CTG been commenced it would have identified that V’s heart rate was dropping (decelerations), and that this was most likely due to intermittent cord compression. It was also alleged that following V’s birth there was a delay of seven minutes before a paediatrician arrived. A liability split was eventually agreed at 90/10% in V’s favour. Graham obtained further medical reports from a large number of experts to assess V’s injuries and care requirements. V has dyskinetic cerebral palsy with both dystonia (a neurological movement disorder which causes muscle contractions, twisting and repetitive movements or abnormal fixed postures) and athetosis (abnormal muscle contraction causes involuntary writhing movements). He also has restricted movement in all four limbs, developmental impairment and relative cognitive function. He requires gastrostomy feeding and is incontinent of urine and bowels requiring nappies 24 hrs a day. Our experts assessed V’s life expectancy as 43 years. Graham successfully negotiated an out-of-court settlement of £7.25million to pay for V’s future care and accommodation needs for his lifetime. 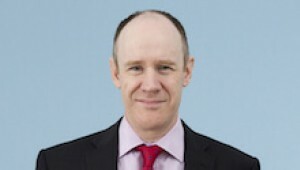 Graham specialises in cerebral palsy cases. If you would like to ask Graham a question about a potential case, or if you have a general query about any personal injury, contact Graham Bell at Thomson Snell & Passmore solicitors on 01892 701358 in confidence.